Are you hoping to make your home or apartment a bit more comfortable this summer? If so, you may want to consider purchasing a portable air conditioner. When many of us think of cooling our home or apartment, your first thought is likely the old window units you used to see everywhere in the 80’s and early 90’s (or in old movies, if you aren’t at least 30). While central air is becoming quite common through much of the United States, you can still find older apartments or homes that still don’t have units, making it important to have affordable, easy to use options to keep your home cooler. What many people don’t realize, however, is that many home owners likely need a portable air conditioner, even if they have central air in your home. 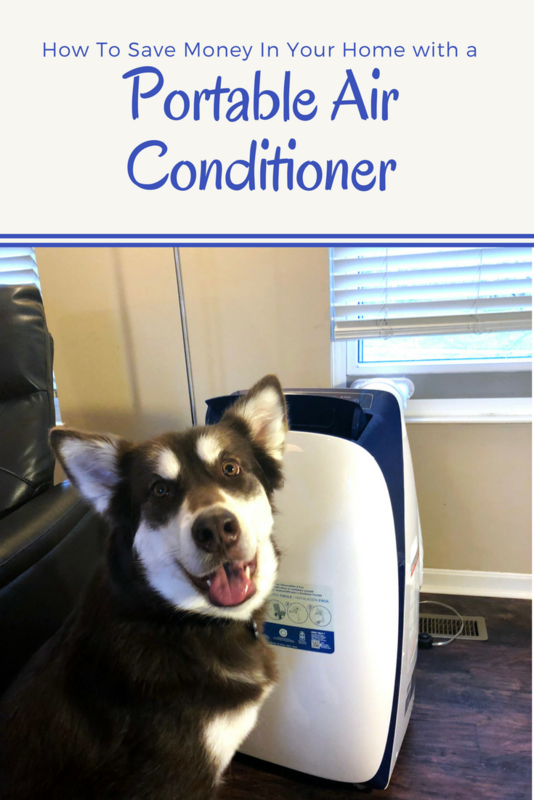 You may even be surprised why you would benefit from a portable conditioner in your own home! To the surprise of many people who are in apartments or renting a home without air conditioning, most apartment buildings or HOAs do not allow window air conditioning units. One of the main reasons is because traditional window units look horrible. Not only are they banned from looking unsightly in many apartment in homeowners association neighborhoods, but some cities ban them as well for safety concerns if they are not installed properly (can you imagine a window unit falling on someone from a 4th or 5th story apartment?). Since portable air conditioners do not protrude from windows, they are perfectly fine in areas that have restrictions against window units. Best of all, many units (especially Honeywell units) are designed to look sleek and stylish in just about any room décor, allowing you to have a stylish room while still feeling comfortable throughout the summer! Do you have issues with one spot in your home being much hotter than others? In all honesty, this is the number one reason we use a portable air conditioner in our home. With both my husband and myself working from home, we spend quite a bit of time in our office. This doesn’t seem like a huge deal until you realize we are running 4-5 computers and 8-10 monitors in our work setup. This leads to our office being about 12 – 15 degrees hotter than the rest of our home. Honestly, it was miserable until we got a portable AC unit for our office. Not only did it lower the temperature in our office, but created much better air circulation for us and the electronics. When we got our new home AC unit installed though, we thought we would likely be removing our unit from the office – wrong! To our surprise, the technician installing our new central air system, told us that even though we upgraded to a larger unit for our home, it wouldn’t solve the problem in our office. He said that while modern units can keep a house generally at one temperature, it isn’t able to handle areas with lots of electronics or abnormally large groups of people for a space. His recommendation was that we keep our air conditioner in the office, but expect we would likely not have to work it so hard. As well, he said using a portable air conditioner unit in hot spots can also dramatically lower your bills since you are only trying to cool one area, and not relying as much on something meant to cool your entire home! Have you ever tried cooling a very hot room during the summer? During the summer, it is very common here in Kentucky. When it gets up into the high 80s – lower 100s, we were miserable with the heat and high humidity, especially when our old home AC unit just couldn’t keep up. Like most people, our first reaction was to get out the portable fans and turn on all the ceiling fans. While using the fans did improve air circulation, it really didn’t do much for cooling the room, especially when we were having dangerous temperatures outside. Not only will a portable air conditioner make the room much cooler faster with a refrigeration unit, but will actually make the room chilly in almost no time without the constant, added noise. Do you live in an area with lots of humidity? One of the worst parts of summer here in Kentucky is the humidity since it makes it everything feel not just sticky, but much hotter. Honestly, a very humid building or home not only makes you feel terrible, but overworks your central air system. For this reason, many technicians recommend using dehumidifiers in your home during the summer. One of the best part of us a portable air conditioner in your home is that they can also run as a dehumidifier (or at least all the Honeywell units I have used have that feature). When they are working as a dehumidifier, they help circulate air and help cool your home by removing access moisture from the air. Best of all, they can do this without having to move heavy buckets of water by having the excess moisture vent out your window. Want to know one of our favorite added benefits of using a portable air conditioner? Cleaner air! By using a unit with a filter, you can keep bacteria, dust particles, and other contaminates out of your air. We were amazed just how much the filter in our unit traps from the air, especially in our pet friendly home. After using a portable AC unit in our home for years, I have to say I heavily recommend Honeywell Portable Air Conditioners. Part of the reason we love our units is that they are sleek, look amazing, and are so easy to set up. As well, every unit after our first has had washable filters, keeping the unit running smoothly and air in our preferred rooms cool and clean. 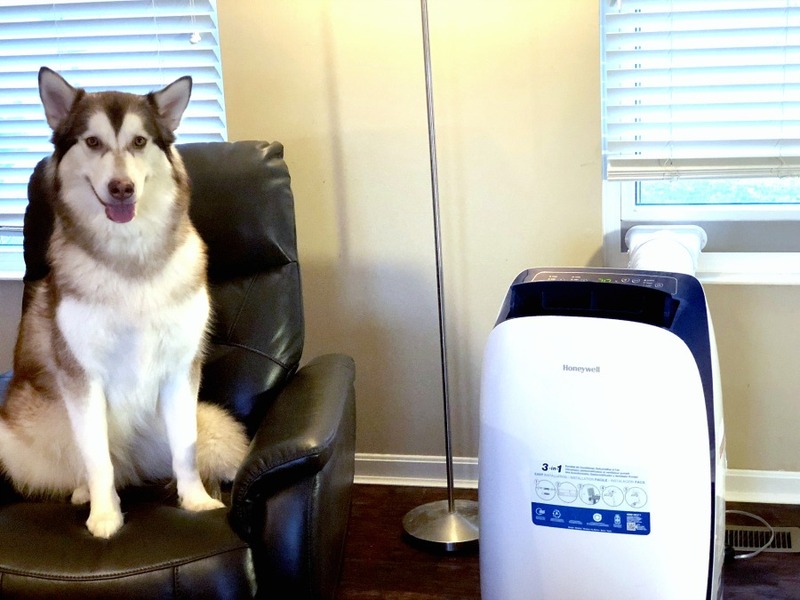 While we love our unit in the office, we recently got a second portable air conditioner in our home – the Honeywell Portable AC model HL12CESAWB. While our upstairs unit works great, my husband wasn’t a fan of carrying the unit down to our living room every time we were entertaining a lot of people, especially with it being common to have 8 – 15 people sitting in one room for holidays or gaming days – and it was especially important if everyone brings laptops! With an extra unit that moves around the second floor, we are able to easily manage the temperature of our home, without overworking our central air system. If you are looking for a beautiful way to keep your home feeling amazing without raising your utility bills, I highly recommend getting a Honeywell portable air conditioner for your home or apartment today! Susan Bewley is a professional writer who has been writing content online & in print format for over 10 years. As well, she is an alumni of the University of Louisville with a Masters Degree in Special Education. 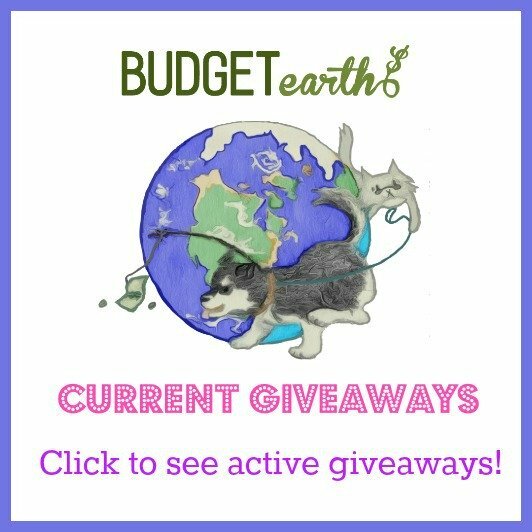 When not working as an online business consultant or ghost writing, she can be found writing on Budget Earth, on her own novel, or working with various entities in the pet industry. It sounds like they have a lot of benefits. But don’t they cost over $300? That’s a bit to pricey for me. My husband and I could not live without the portable a/c unit he broke down and purchased last year. Our room is above the garage and well the a/c has a hard time getting to our room during the summer. What a blessing ours was. We have been thinking about purchasing a second for another room. We use one of these in our upstairs as our central air isn’t ducted to there. It works really well! This sounds awesome! We live in florida so it can get pretty unbearable. We should definitely get one of these! I have two air units in my house but have been looking into getting one of these for my bedroom. seems pretty good. thabjs for the review. Sounds interesting never heard of these before. I had no idea that portable air conditioners can also run as a dehumidifier. We have wicked humidity in MN and I will consider this. I really enjoyed reading the entire post, thank you for all the useful tips! I was just thinking to get portable AC! Very interesting information to read. Never would have thought of using this in this manner. This kind of air condition uses the air from inside and filters bad air out. I have a window unit and always thought it was bring air from outside in with means its not cleaning the air. my brother needs one of those they have no central cooling so the bed rooms are so hot and most of the summer they stay all in the living room. We are planning to purchase one this year. We have always had a heavy window one, but it was inconvenient and heavy and hard to get in the window each year. This would be so great on a hot summer day! It seems like it would be more effective than a room fan. i didn’t realize that the appliances/devices running could raise the temperature that much. this would definitely be helpful because i tend to get hotter than others in the house so i wouldn’t have to cool the whole house. I am thinking about getting a portable unit, I am going through menopause in Florida and the hot flashes are terrible even with a fan and ac unit. This would be perfect for us. I love all the features it has! Thanks for the interesting information about portable air conditioners. Electricity prices are very high at the moment where I live, so it’s always great to find ways to save money! We have a small house, and we cool with 3 small portable units. My electric bill is so small compared to the neighbors! I am going to check this out and look at the prices. Saving money would be great thing. This Portable Air Conditioner would be a great investment for our extra bedroom. This room stays so hot and when we have guests this would be perfect for keeping them cool. I was thinking of purchasing a portable air conditioner for my daughter’s room. Thanks for the helpful information. I would have loved having one of these last year when our central air unit couldn’t keep the house very cool. My grandson lives in the basement and his room is always very hot. One of these units would be great for him too. Something like this would be great! I gets so humid here and we dont have central air. We tough it out with a couple window air conditioners. This would put the air right where you need it. We need one in the summer! We have a portable unit which is nice for those areas where you cannot install a window ac. We are hoping to purchase another this year to cool another area of our home. We put a portable air conditioner in our office and I was so spurpised how well it worked! I’d recommend it to anyone who can’t put in a ducted or ductless system. This would work great in our back bedroom. The sun gets on that side of the house and it is unbearable in there in the summer. Very nice idea to think about. Ohhh…hey…that’s a totally good idea! Living in Texas…our air conditioning bill can get REALLY big! I’m going to suggest this to my husband! I have a portable unit and I love it! ! Not only can I move it around to different rooms but I think it’s easier to install and safer too. If it falls it only falls INTO the house not out of. Plus mine has a dehumidifier in it which helps that way as well. Can’t do all that with a window box. Copyright - Bewley Consulting Corp.